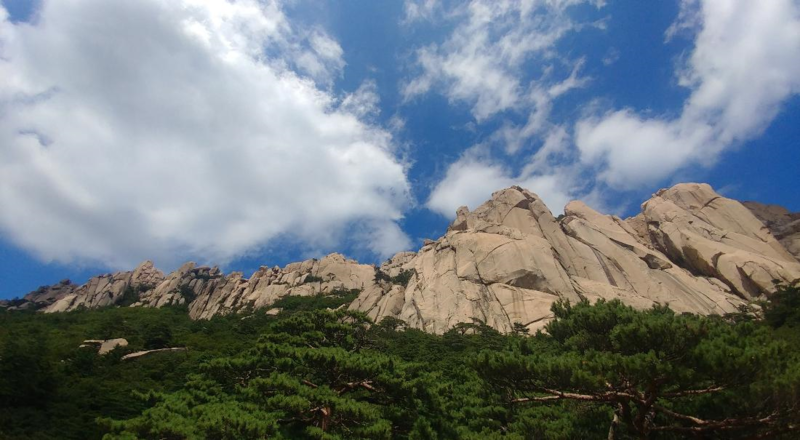 Seoraksan Sinheungsa* Overcoming the threat of two fire disasters, the Sinheungsa Temple was built with the help of fervent prayers. 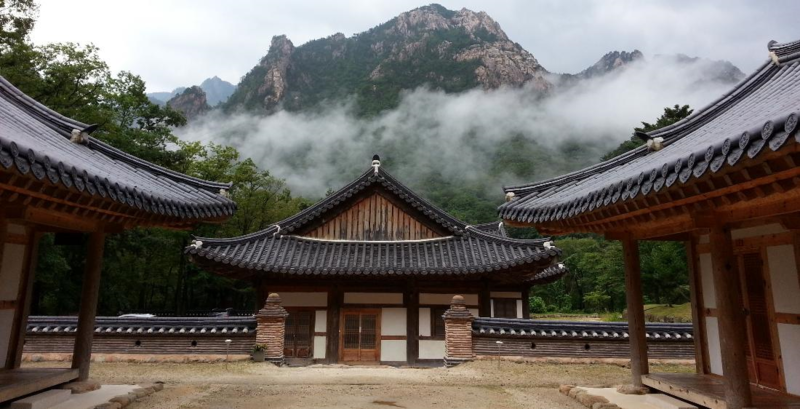 The history of Sinheungsa Temple started with the foundation of a temple called Hyangseongsa. In 652, the sixth year of Queen Jindeok’s reign during the Shilla Kingdom, Precept Master Jajang founded the temple in the place where Kensington Hotel is currently located. However, Hyangseongsa temple was burnt down in 698, in the seventh year of King Hyoso’s(687-702) reign. Three years later, it was rebuilt by Great Master Uisang at the site of the hermitage, Neunginam, which is now called Naewonam Hermitage. 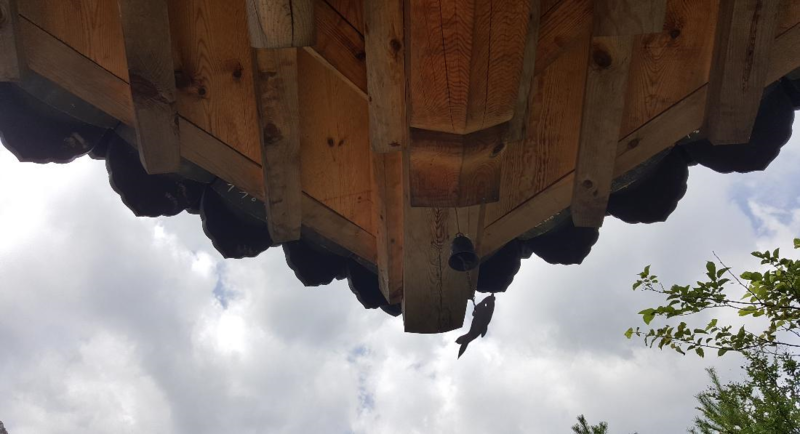 He then changed its name to Seonjeongsa Temple. After that, it enjoyed prosperity for a thousand years, but it was burned to the gourd in 1642, in the 20th year of the 16th of King Injo’s reign during the Joseon Dynasty. 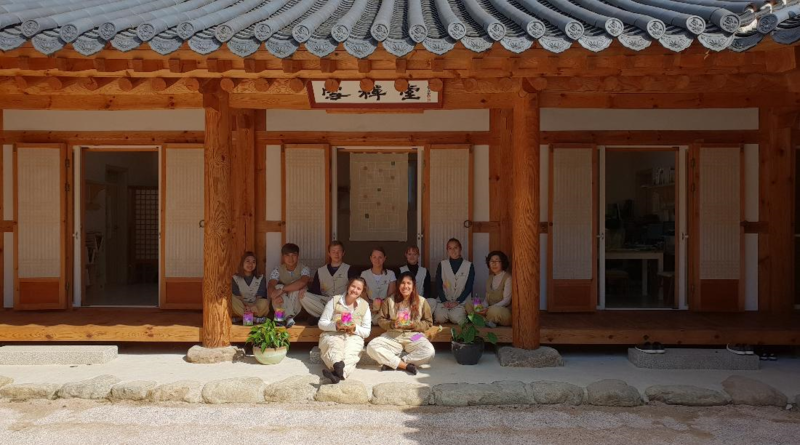 In the 22nd year of King Injo’s reign, the three venerables Yeongseo, Hyewon and Yeonok vowed to rebuild the temple and prayed fervently everyday. 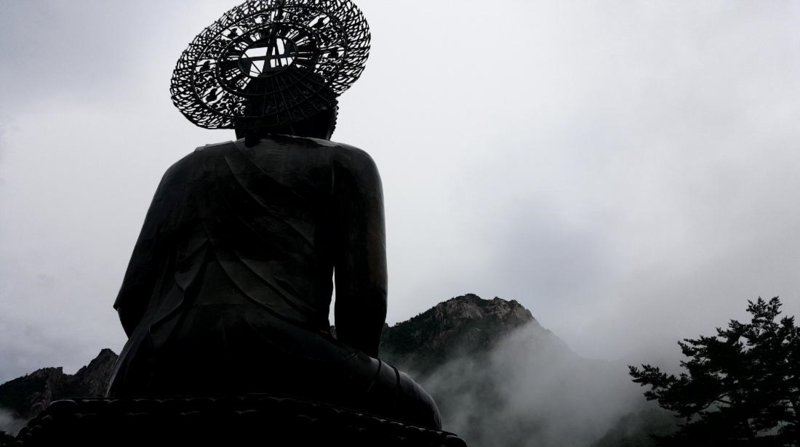 After praying one day, a silver-haired god appeared in their dreams, pointing at the current Sinheungsa site and said, “If you build a temple here, there will be no damage from the three major disasters of fire, flood, or storms.” Afterwards, he disappeared into thin air. With this prediction, they built Sinheungsa temple on this site. ** 'Sinheungsa' means God(Sin) told it will prosper(heung). 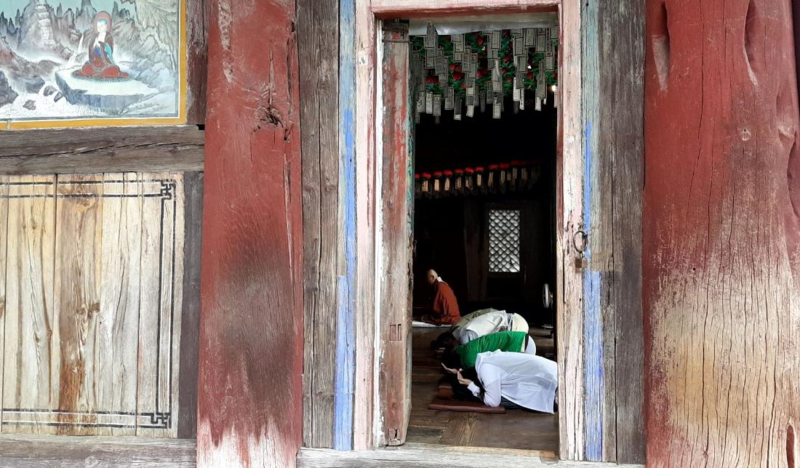 With great power from the vows of the two Venerables Goam and Seongjun, the temple attained the status of the Third District’s main temple of the Jogye Order of Korean Buddhism. In this place, Tongil Daebul, a massive bronze Buddha statue, was enshrined in hopes of inspiring the peaceful reunification of North and South Korea. This is the merciful Buddhist prayer of the Korean people, hoping for the reunification of the country, and an end to over a half century of division between North and South Korea. 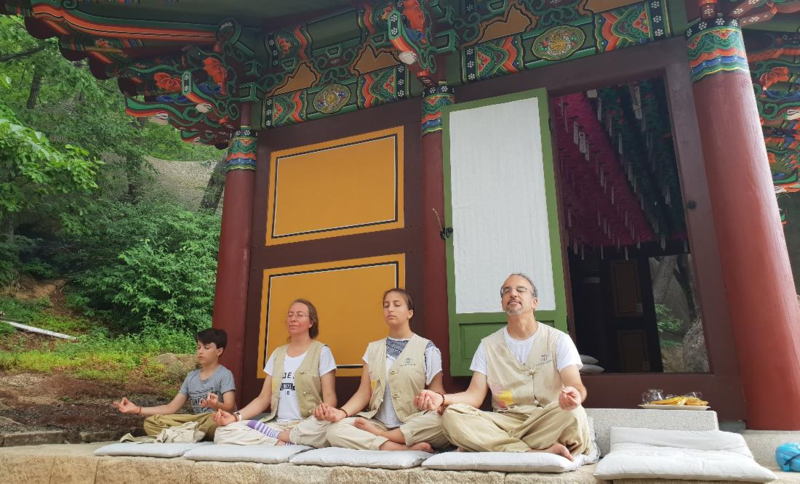 With the prayers of all the monks of the order and 16 million Buddhists, as well as all the laypeople of Korea, the mega project of enshrining Tongil Daebul at Sinheungsa Temple came to fruition. In the magnificent scenery of Mt. 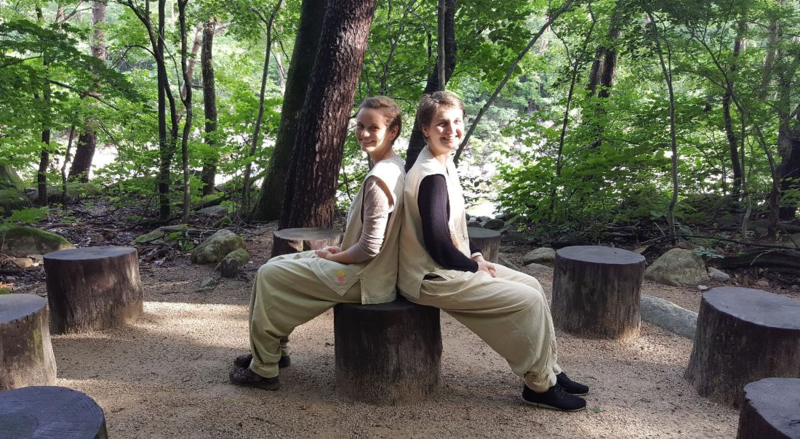 Seorak, stay in the temple, make your days filled with physical-mental-relaxational-cultural trekking. [Seoraksan Sinheungsa] [Free Style] Rock the Spirit ! Oh, Seorak !